First I wanted to construct a real fixie, meaning a bike with no brakes and one single and even fixed gear. That means you have to pedal constantly. It’s as simple as you can get it. It gives you the perfect feel for the road. It’s Gods first bike. 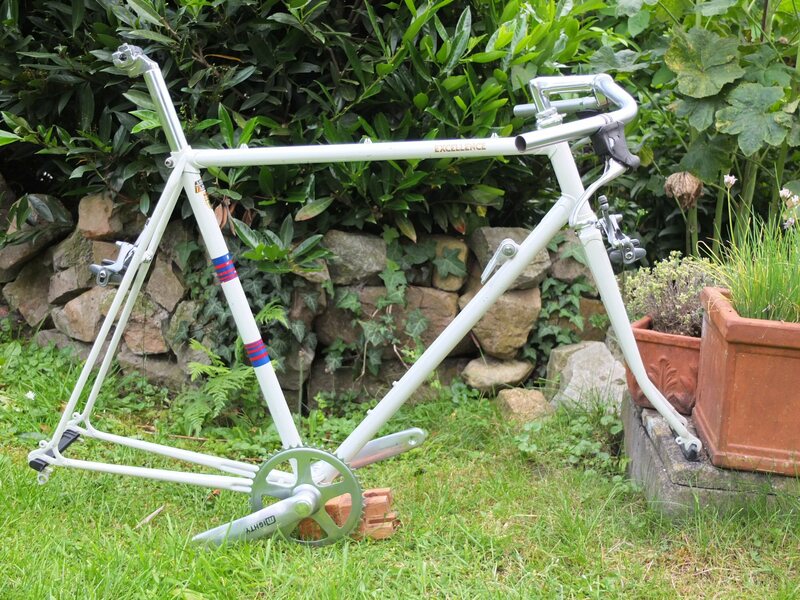 However I decided not to construct a real fixie. I wanted brakes. Somehow it felt safer that way. However, this bike will still be a pretty basic bike. The brakes are the highest level of technology you will find on this bike. 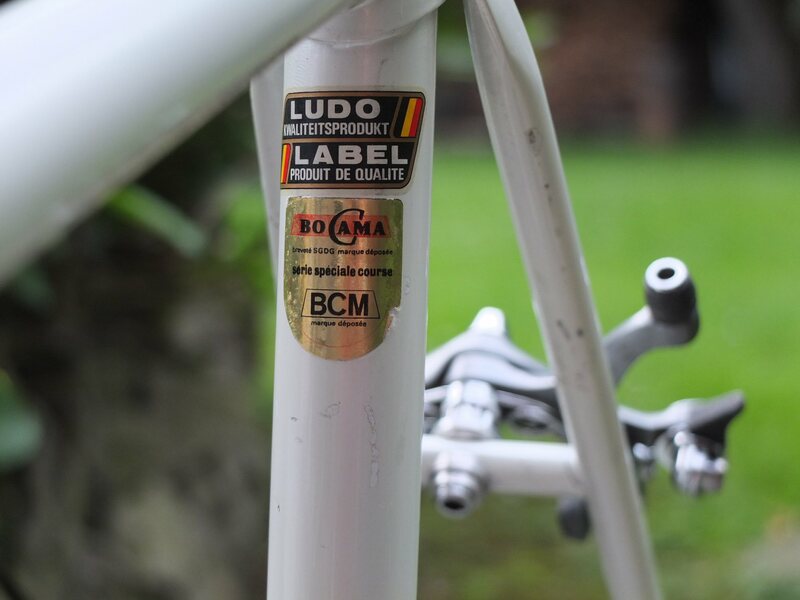 It’s based on a 1980 Ludo frame from Belgium. In 1964 Eddy Merkx became world champion on such a frame. Of course we’re talkin’ steel frame here. Durable, plain simple. And a bit heavy. But when you’re building a bike with no gears you shouldn’t complain about cycling becoming a bit difficult once in a while. After having to cut new screw threads at the headset and the bottom bracket (the bike dealer did that), finally a 46er chain ring and some cranks could be mounted. Also a handlebar is part of the ensemble now. Oh yeah and my dad luckily assisted on adding some brakes. Nice old Shimano’s which had to be modified quite a bit in order to fit the world champion frame. I hope during the next weeks I’ll find a nice back wheel (and front wheel). The rest are only details. And then the cruising begins. Until I stop.